On the link are 10 screenshots of visual moments from ep. 7 that I especially like. I asked on this post if the image of Director Cole whistling while sitting in front of the atomic blast mural was foreshadowing. Here's what I meant. Do you think this similarity between Whistling Cole and The Experiment in ep. 8 is just coincidence? Who knows with these guys? There's so much "As above, so below" running through the series it's hard to tell. Indeed - and thanks for the reply SamXTherapy. I've convinced myself the similarity in these two scenes is be design. 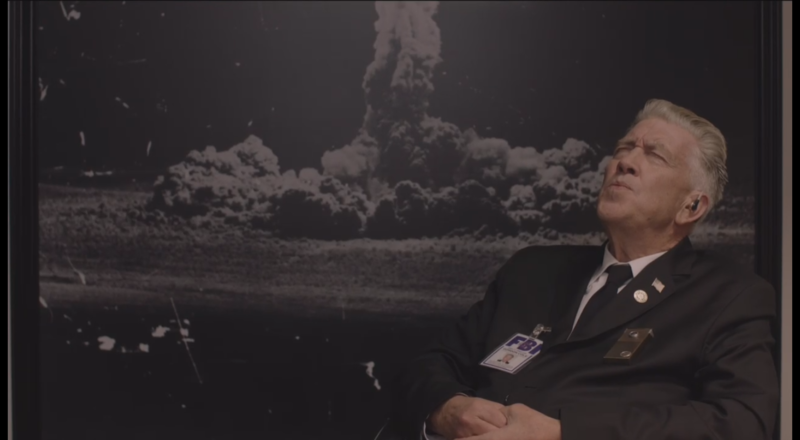 Lynch maintains his position so long without moving as he whistles - long enough for us to get the suggestion that the atomic blast smoke is coming out of his mouth. That struck me as I saw this episode the first time, before seeing 8. Then when we see The Experiment in ep. 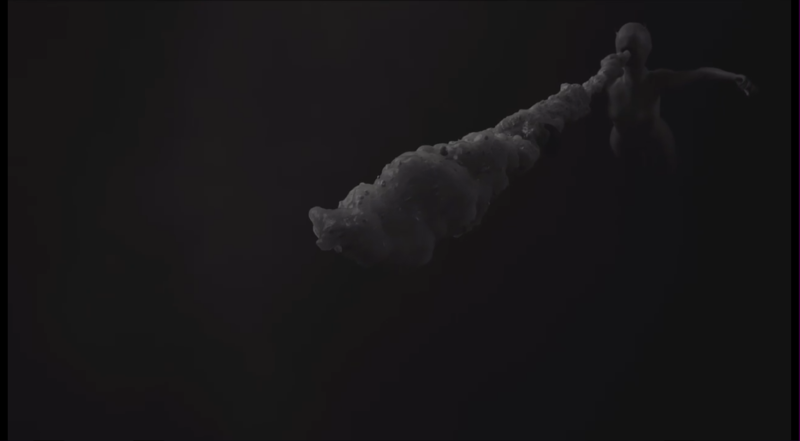 8, with her on the same side of the screen as Lynch is, and not moving while the smoke/matter emits from at least the general area of her face - well, there we are.